By Jeanine Poggi . Published on February 01, 2018. So much for advertisers getting woke. Once again the Super Bowl is poised to be filled with commercials starring and appealing to a predominantly male audience. In any other year this wouldn't come as a surprise; historically Super Bowl ads haven't been especially kind women. But even amid the #MeToo and #TimesUp movements, with women (and men) speaking out for gender equality, marketers don't seem to be making much of an effort to even appear inclusive. As of Thursday morning, there were more than two times as many male celebrities than female appearing in Super Bowl commercials (20 men compared with just eight women). It's difficult to pinpoint exactly why this gap still exists. If the Super Bowl didn't start as a place where marketers could reach a critical scale of women consumers, that's certainly changed. Last year 54 million women watched the Super Bowl—49% of the total audience. That's up from 39 million women who watched the game in 2009, just under 40% of the total, and not incidentally the last time the Super Bowl averaged less than 100 million viewers. While none of the Super Bowl advertises thus far have dared to feature half-dressed women or rely on some predictable stereotypes, they've also done little to close the gender gap. 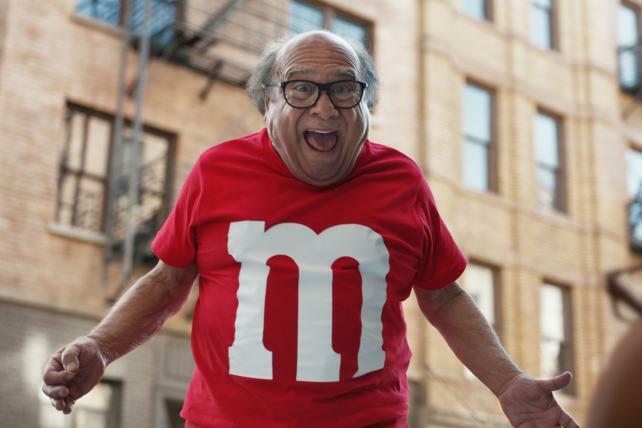 Just take a look at this year's lineup: Danny DeVito stars in M&M'S first spot in three years; Squarespace has Keanu Reeves; Steven Tyler is featured in Kia's spot; Michelob Ultra brought in Chris Pratt; Peter Hermann reprises his role as the "Professional" for Persil ProClean; and Chris Elliott will make a cameo in Avocados From Mexico's commercial. And you have to squint really hard to find any women in Pringles' first Super Bowl ad, which stars comedian Bill Hader on the set of a movie, surrounded by more dudes. Some of the confirmed female celebrities include Tiffany Haddish for Groupon, Iggy Azalea for Monster Products, Cardi B and Rebel Wilson for Amazon Alexa and Cindy Crawford reprising her iconic role for Pepsi. Missy Elliott also makes a brief appearance in Mtn Dew's commercial starring Morgan Freeman. And when you look beyond ads that feature big-name stars, it's a similar story. Febreze chose a man to star in its "Bleep Don't Stink" spot, while Budweiser's ad, which promotes Anheuser-Busch InBev's philanthropic water giveaways after natural disasters, takes the perspective of a male plant manager. In last year's Super Bowl LI, more than 2.5 times as many leading ad roles went to men than to women, 61 for men compared with 23 for women, according to the Ad Age Super Bowl Archive, which excludes movie trailers and TV promos. That's just slightly better than five years earlier, when men got more than 3 times as many key parts as women—60 for men and 18 for women. Last year's Super Bowl ads were 12 percent below norms for TV ads overall in terms of gender equality, according to ABX, which calculates the Gender Equality Measure scores for the ANA. The Gender Equality Measure rates ads and entertainment on how and how prominently it depicts women. For some marketers there's too much of a risk to make any type of statement, even one of inclusivity, on TV's biggest stage. Hyundai considered multiple ad concepts, including one spot that featured a female astronaut working on the international space station helping her earthbound husband unlock a car using a remote app. But the automaker ended up taking a corporate-branding approach with a spot that plugs a nonprofit group, Hyundai Hope on Wheels, that battles pediatric cancer. The female astronaut ad will still eventually run, but the nonprofit ad tested better for the Super Bowl audience. "We look at female versus male, we look at age groups. We just want to make sure, especially at the Super Bowl, that we are doing everything we can to have a populist appeal," says Hyundai Motor America Chief Marketing Officer Dean Evans. It doesn't help that Audi received some backlash for its "Daughter" Super Bowl ad last year, which promoted equal pay for women. In it, a father cheered on his young daughter in a downhill cart race while pondering how society to will view her worth. "What should I tell my daughter… that she will automatically be valued less than every man she'll ever meet?" While the overall reaction was positive, some critics called it disingenuous. They pointed to the company's own executive ranks, where only two of the 14 USA executive team were women. And there's always the chance that a company who makes a statement on women's empowerment could find themselves embroiled in their own sexual assault scandal days or weeks later, says Bryan Buckley, who has directed nearly 60 Super Bowl ads dating back to 1999. While it appears most marketers will be playing it safe this year—sticking to the tried and true, which, means ads that cater to and are more representative of men—there are at least some glimmers of change. More than half of the team behind Lexus' collaboration with Marvel's "Black Panther" movie are women, including executive producer Shauna Williams, who is also one of the very few women of color to executive produce a Super Bowl spot. "Historically, the reason many people wouldn't hire women creatives to work on the Super Bowl is because they didn't think women were excited or engaged in football and that's just not true," says Aaron Walton, co-founder of Walton Isaacson, the agency behind the ad. "It is smart for advertisers and for agencies to make sure they have women in roles where they have both the responsibility and authority to portray themselves the way they want to be portrayed," he continues. While Avocados from Mexico chose Chris Elliott as its celebrity cameo, following Jon Lovitz last year and Scott Baio before that, the protagonist of the ad is a woman. "What everyone from a marketing standpoint from an advertising standpoint should be aware of is that football in general… and certainly the Super Bowl, it's becoming much more diverse," Kevin Hamilton, senior director of marketing at Avocados From Mexico, said during an interview for Ad Age's Ad Lib podcast. "Our core consumer is a woman. And it's that entity that keeps us alive, it's growing our business, so we have special attention on that for sure to make sure we are speaking to women in a way that is attractive, that is respectful and hopefully in a way that they find aligning with our brand," he continued. Avocados From Mexico advertisers in football programming throughout the season, "and when we are producing that we make sure at a minimum we are very gender neutral and we are very keen to the notion of ensuring what we are putting on the TV women are going to find just as attractive as men," Hamilton said. Intuit was especially thoughtful in creating its first-ever Super Bowl spot promoting the corporate brand, not to make a social statement but merely to be representative. "We had debates about the role and portrayal of the protagonist," says Intuit CMO Lucas Watson. 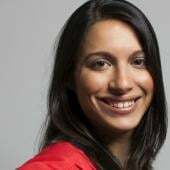 The hero of the resulting spot is an Indian entrepreneur and engineer, which Watson says reflects Intuit's workforce, where 37% of its engineers are women and 40% of the leadership team is female. The ad's giant character, which comes in to make it easier for business owners to manage their finances, is androgynous. "It doesn't have a name and we wanted to stay away from gender stereotypes in either director," Watson says. Coca-Cola, which has a history of creating ads, especially for the Super Bowl, that promote inclusivity and acceptance, did so again this year. "There's a Coke for he and she and her and me and them, there's a different Coke for all of us," begins the spot, which is filled with people of all different races, genders and ages.